Project: SAFE stands for Support for Animals and Families in Emergencies. Animals are the forgotten victims of domestic violence. With 2 out of 3 households owning pets, the likelihood that an animal will be affected by domestic violence is high. Animals are a major part of any family. They provide companionship, love and happiness to their owners. In households where domestic violence occurs, there is a high probability that animal abuse may be occurring. Half of the victims of domestic violence delay leaving an abusive relationship because they have no safe shelter for their animals. Many victims stay in the cycle of abuse to protect their animals. RSPCA ACT has offered the Project SAFE program for over 10 years in the Canberra community. This program provides victims of domestic violence with emergency short term care for their animals. In the past year alone, we provided a total of 995 days of care for 23 felines, 42 canines and 3 birds. We do not charge for this program as many victims are in transition and need to focus on their own welfare. We are struggling to fund the program in its current form. Project SAFE receives no additional funding and last year cost our organisation $35,810.00 to provide emergency short term care for animals need. We are calling for 150 generous individuals to pledge $20 per month. Our organisation is also in need of short term foster carers to provide temporary care for animals in need. With your help – we can continue this vital program. So far we have 16 wonderful supporters helping us fund this program. Our goal is to reach 150 supporters! Domestic violence is an issue that affects many Canberrans. 1 in 6 women and 1 in 16 men have experienced physical and/or sexual violence by a cohabiting partner since the age of 15. In Australia, we have one of the highest rates of pet ownership in the world at 63% of households. This means that not only are humans affected but their animals too. There is a proven, direct correlation between cruelty to animals and cruelty to people. Studies have shown that approximately 53% of domestic violence victims reported that their pet had been harmed. At the RSPCA ACT, our mission is “the prevention of cruelty to animals in the ACT.” RSPCA ACT Inspectors are unfortunately very much aware of what can occur in these situations. On too many occasions they have arrived at a location to find that the animal in question has already been subjected to violence. The challenge is that few human shelters and temporary living facilities allow the housing of animals, particularly larger dogs. As such, a human victim is often forced to make a choice between protecting themselves and protecting their beloved pets. For us to do more to prevent cruelty to animals, it’s imperative that we continue to provide support options for pet owners trying to flee domestic violence situations. How are we helping through Project SAFE? We have been providing short term emergency boarding for pet owners in need for years on an ad hoc basis. The vast majority of these requests come as a result of domestic violence. Due to the nature of our work, particularly the work of our Inspectors, our facilities and staff are better protected through security, training and emergency protocols to temporary home animals affected by domestic violence than standard boarding facilities. Requests to use our Project SAFE service traditionally comes from community groups or government agencies that support families in crisis. They contact us for help when they have a pet owner that cannot care for their pets temporarily due to circumstance beyond their control and have no other place to turn for help. Pet owners seeking to be part of our Project SAFE service require a case number from a local agency to be accepted into our program. Right now, the demand for this service is exceptionally high with about one request for help each business day on average. 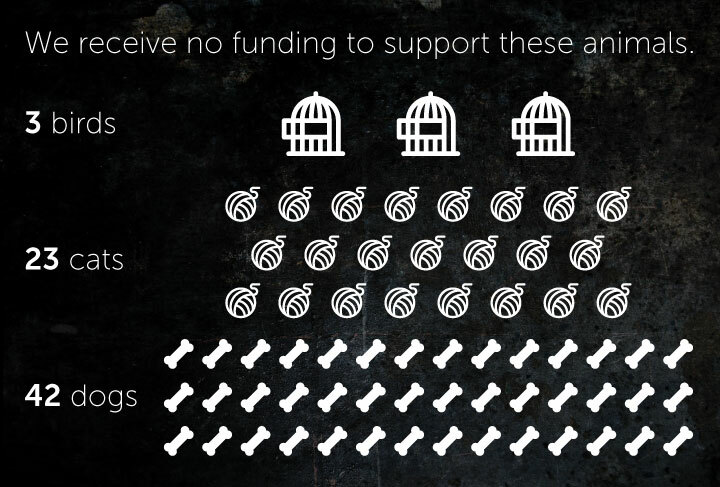 However, due to limited resources, we are currently only able to support about one-third of the requests. Even if the owners do have money, few boarding facilities will take such pets on short notice without appropriate veterinarian records to show that their vaccinations are current. Furthermore, many boarding facilities are reluctant to take pets that are involved in domestic violence situations because of the potential threats to their staff and facilities by a violent partner. Why we need your support for Project SAFE? Project: SAFE allows us to continue to help the many animals and their owners in the ACT who are, or could become, the victims of abuse. By providing a temporary, safe space for a pet, we eliminate the risk of an animal becoming the victim of cruelty or used as a manipulation tool by a violent partner. In the last year alone, we took care of 23 felines, 42 canines and 3 birds for a total of 995 caring days at no cost to the owners. In previous years, we have cared for several other species including fish. All animals require a veterinarian check and vaccinations on admission with some requiring addition forms of vet treatment often provided at no cost to the owner. Because of the nature of our mission, we not only have safety and security measures in place, we also have staff (including Veterinarians and Behavioural Trainers) that are accustomed to caring for animals that have been the victims of cruelty. It puts us in a unique position to deal with animals that may have been physically and/or emotionally abused in the past. We are currently struggling to fund the program in its current form. We do not receive any funding to run Project SAFE and the recipients of this service are not charged as we recognise that they are going through significant hardship due to their circumstances. We hope to generate support from the local Canberra community to continue running the program through regular donations. These donations will allow the program to continue to care for the many animals directly affected by domestic violence. We are looking for 150 supporters to give $20 a month to help us continue to run this vital program. If you are not in the financial situation to commit to a regular donation but would still like to help, we welcome one-off donations to help fund the program. Please click here. All funds raised above our goal of $35,810 will go back into funding other RSPCA ACT services and continue to help the unwanted, abused and neglected animals we see come into our care each year. If we can acquire 150 supporters to pledge $20 a month we can continue to run Project SAFE at its current capacity for the foreseeable future. *Costs do not include additional veterinary treatment that some of these animals may receive. Space at our Shelter is extremely limited. To help more individuals and their pets escape domestic violence, we also are urgently seeking dedicated volunteers to foster adult dogs or cats. For further information on how you can help, please click here. How can I get my pet into the program? Pet owners seeking to be part of our Project: SAFE program require a case number from a local government agency or community group to be accepted into the program. If you are a victim of domestic violence there are a number of organisations that you can contact to help support you through this time. The ACT Policing website has a range of different organisations you can contact if you require aid from family violence. Triple Zero (000) in an emergency or life threatening situation. Police Operations on 131 444 if it is a non-emergency, but your require police assistance. Crime Stoppers on 1800 333 000 to report information. What does Project: SAFE stand for? Donate: We do not receive any funding to run Project: SAFE and the recipients of this service are not charged as we recognise that they are going through significant hardship due to their circumstances. You can make a donation by visiting our donation page here. Become a Foster Carer: Some of the animals that come into the program may need additional support while away from their families. To help them get through this difficult time, foster carers may be called upon to care for the animals in a loving home environment. If you’re interested in becoming a foster carer please click here. What care do you provide the animals? We provide short term emergency boarding for pet owners affected by domestic violence. All animals will be cared for by experienced animal lovers and will undergo medical and behaviour checks upon presentation at the RSPCA ACT Shelter including worming and booster vaccinations. How long can they stay in the program? Right now, the demand for this service is exceptionally high. Due to limited resources, we are currently only able to support approximately one-third of the requests we receive. To help as many families as we can, we offer short term and temporary free boarding to help victims find more suitable accommodation for them and their pets. No. Project: SAFE is a completely free service to people in the program. How many animals are able to be cared for at any given time? The number of animals we are able to care for at any one time varies depending upon available foster carers and appropriate housing at the Shelter. What would my donation do to help animals affected by domestic violence? Your donations are vital for us to continue running the Project: SAFE program for people in need in the ACT. Without your support we are unlikely to be able to continue to offer the service at no cost. Last year RSPCA ACT spent over $35,800 caring for emergency boarding cases. We do not get any government funding for this program but believe the program is worth the added expense to the organisation. For us to do more to prevent cruelty to animals, it’s imperative that we continue to provide support options for pet owners trying to flee domestic violence situations and that includes providing a safe haven to a beloved pet when an owner has nowhere else to turn. Your donations will allow the program to continue to care for the many animals directly affected by domestic violence. 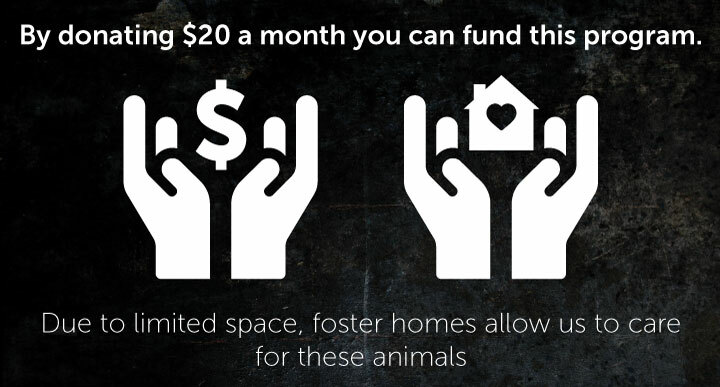 Your support could provide a days care for an animal escaping domestic violence. You could help provide an initial vet check and care for an animal coming into the Shelter.